Commerce Secretary Wilbur Ross announced a deal with Chinese telecommunications company ZTE amid U.S.-China trade tensions. Commerce Secretary Wilbur Ross on Thursday announced a deal with Chinese telecommunications company ZTE that includes a $1 billion fine — a move that may indicate progress in high-stakes trade talks between the U.S. and China. "This is a pretty strict settlement, the strictest and largest fine that has ever been brought by the Commerce Department against any violator of export controls ," Ross said in an interview with CNBC. The agreement was immediately criticized by senators of both parties. "The Trump administration is giving ZTE and China the green light to spy on Americans and sell our technology to North Korea and Iran, as long as it pays a fine that amounts to a tiny fraction of its revenue," Sen. Ron Wyden, D-Ore., said in a statement. Sen. Marco Rubio, R-Fla., tweeted: "I assure you with 100% confidence that #ZTE is a much greater national security threat than steel from Argentina or Europe. #VeryBadDeal"
The U.S. had imposed sanctions on ZTE for illegal sales to Iran and North Korea, but the Chinese company agreed to take corrective action. When U.S. regulators found that ZTE had not complied with the terms of the agreement, they cut off the firm from its U.S. parts suppliers. The move was described as a "death sentence" by the company, which employs 70,000 people in China. But last month, President Trump tweeted that "too many jobs in China" were being lost because of the U.S. action and that he had instructed the Commerce Department to find a solution. On Thursday, Ross said ZTE had agreed to pay the $1 billion penalty and to bring in a U.S. team to oversee the company's compliance. Under the deal, the company will also set aside $400 million in escrow to cover any future violations and change its board of directors and executive team. In the CNBC interview, Ross added: "We think this settlement, which brought the company — a $17 billion company — to its knees, more or less put them out of business, now they're accepting having this compliance team in, whole new management, whole new board, should serve as a very strong deterrent not only for them but for other potential bad actors." We have some news this morning. 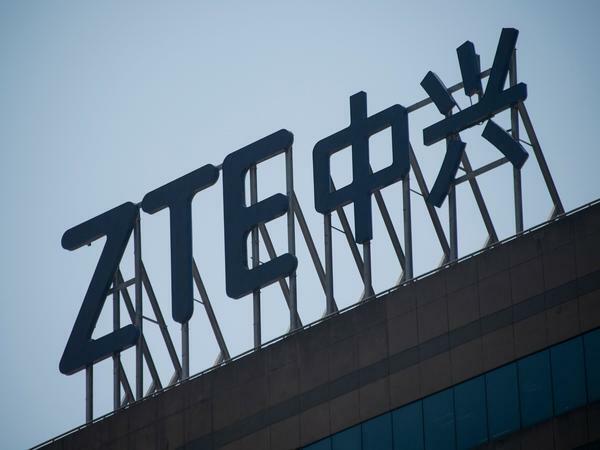 The United States has struck a deal to save the Chinese telecom company ZTE. This deal was announced this morning by Commerce Secretary Wilbur Ross. ZTE, you may recall, had been pushed to the brink of insolvency by a ban that prevented it from buying American-made components for its phones. President Trump then in a surprising move promised to save Chinese jobs by somehow saving the company, which, the U.S. now thinks it's done. NPR's Uri Berliner is covering this story. He's with us. Hey there, Uri. URI BERLINER, BYLINE: Hey, Steve. INSKEEP: I want to begin by just playing a little bit of Wilbur Ross here - this is from CNBC - explaining what the United States has done. WILBUR ROSS: We think this settlement which brought the company, a $17 billion company, to its knees, more or less put them out of business. Now they're accepting having this compliance team in, whole new management, whole new board should serve as a very strong deterrent not only for them but for other potential bad actors. INSKEEP: OK. A lot to go through there, Uri. First, which brought the company, a $17 billion company to its knees. What was it that ZTE did that brought it to its knees, that caused the United States to punish it in the first place? BERLINER: Well, let's go back. First ZTE violated U.S. sanctions by doing business with Iran and North Korea. And then ZTE violated a 2017 settlement agreement that was related to those sanctions. U.S. officials said ZTE lied during those talks. So essentially it was a two-time offender. INSKEEP: OK. So that's what ZTE did. Then they got this extreme punishment. What would the reason be then that the United States would have any incentive to let them out of it? INSKEEP: Trade disputes between the United States and China. Isn't there also a personal aspect to this? President Trump got a request from China's President Xi Jinping to please do something about this company? BERLINER: He did mention working with Xi Jinping in his tweet, yes. INSKEEP: OK. So then the news is that there is this deal. What are the terms exactly of the deal? What does ZTE get to do now that it was going to be prevented from doing? BERLINER: Well, first ZTE has to pay a $1 billion fine and then put $400 million in escrow, in an escrow account in case it commits future violations. And the U.S. gets to choose a team of compliance officers that will be embedded inside of ZTE to make sure they're sticking to the agreement. The company has 30 days to get rid of its board and top executive team and replace them, and then ZTE gets to trade with American companies again. INSKEEP: OK. So they're not banned from trading with the United States, but there are still some consequences. The whole board has to go away, and the top executives have to go away. BERLINER: Yeah. I mean, Secretary Ross really remarked about how strict this deal was, especially this thing of the U.S. getting to pick people to embed within a Chinese company to really see what they're doing. INSKEEP: And so the idea is, they lied before - hopefully, they can be caught if they're lying again? BERLINER: Yeah. I guess the idea is that there'll be strict compliance right now. INSKEEP: Very briefly, though, aren't there also national security concerns about this company and whether it was spying on people, including Americans, or could be? BERLINER: Well, there have been some national security concerns. Last month the Pentagon said that ZTE phones couldn't be sold on American military bases. INSKEEP: OK. Uri, thanks very much. Really appreciate it. INSKEEP: That's NPR's Uri Berliner giving us details of this deal announced with ZTE, the Chinese telecom company, and the United States government. Transcript provided by NPR, Copyright NPR.